My name is Megan, and our wonderful family is located in Olympia, WA. 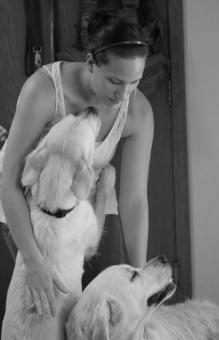 I work from home and I love being able to stay at home and raise my children and my puppies. 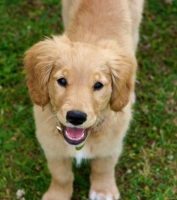 I have owned Golden Retrievers for many years and began breeding Golden Retrievers in 2006, and in 2009 I met my first European English Cream Golden, and I was hooked.We strive to produce healthy puppies with sound temperaments for families to enjoy them as loving pets the same way that we do.